The Annual Meeting of the Association for Information Science and Technology is the premier international conference dedicated to the study of information, people, and technology in contemporary society. The ASIST AM gathers leading scholars and practitioners from around the globe to share innovations, ideas, research, and insights into the state and future of information and communication in play, work, governance, and society. ASIST AM has an established record for pushing the boundaries of information studies, exploring core concepts and ideas, and creating new technological and conceptual configurations — all situated in interdisciplinary discourses. The conference welcomes contributions from all areas of information science and technology. The conference celebrates plurality in methods, theories and conceptual frameworks and has historically presented research and development from a broad spectrum of domains, as encapsulated in ASISTs many special interest groups: Arts & Humanities; Bioinformatics; Blogs, Wikis, Podcasts; Classification Research; Critical Issues; Digital Libraries; Education for Information Science; Health Informatics; History & Foundations of Information Science; Human Computer Interaction; Information Architecture; Information Needs, Seeking and Use; Information Policy; International Information Issues; Knowledge Management; Library Technologies; Management; Metrics; Scientific & Technical Information; Social Informatics; and Visualization, Images & Sound. The call for proposals for the Critical Media Literacy conference has been extended until February 14, 2014. This multidisciplinary conference is designed to aid current educational leaders, future teachers, youth, and other concerned citizens in their understanding of the mass media and its impact on the events that shape our daily lives. Promoting critical media literacy is essential to excavating social inequalities and fostering participatory democracy during the 21st century. • What are specific ways in which the corporate and political elite uses the mass media to promulgate their ideologies and practices? • How does the mass media perpetuate divisions amongst social groups across the globe? • How can teacher educators prepare future teachers by using critical media studies in teacher preparation programs? • How can educators, youth, and concerned citizens provide more genuine representations of global citizens through their own media products? • How has media literacy successfully fostered K-20 students’ critical engagement with mass media? • How have various technologies employed by corporate conglomerates in the mass media been used to foster critical understanding and solidarity across the globe, rather than to promote conformity and corporatism? • How can various critical theories enrich our understanding of the mass media in the age of neoliberalism? • What are some ways in which media literacy can be applied to the new demands and concerns of today‘s digitized culture? 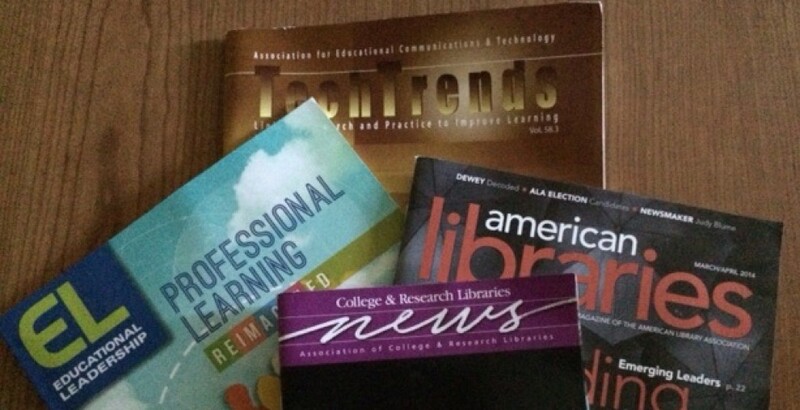 • How might library scientists go about training critical media librarians? It is with great pleasure that I am writing to inform you about the International ERPA Congress on Education 2014 that will be held in Istanbul University/Turkey from 6 to 8 June 2014 (http://www.erpacongress.com). We hope that the conference will enable you to share your research with an international research community and to engage in discussion about the current issues in the field of education. The scientific committee inERPA Congress aims to keep the level of the presentations as high as possible so that it is a positive intellectual experience for all the participants. Therefore, we want you to remember ERPA Congress as a place where you discussed the issues and questions that count for your research, renewed relations with your colleagues and made contacts that helped you to develop new directions in your work. It is a pleasure to share with you that we are contracted with Elsevier Ltd. for publishing ERPA Congress 2014 Proceedings in Procedia-Social and Behavioral Sciences which is indexed on the Science Direct, Scopus and ISI Web of Knowledge. The proceedings should be written in good English and should be 3 to 6 pages in length. Thanks for your consideration and we look forward to meeting all of you in Istanbul University, Istanbul, Turkey. Please get in touch with any questions and share this exciting news with colleagues! For release in Advances in Marketing, Customer Relationship Management, and E-Services (AMCRMES) Book Series. The Advances in Marketing, Customer Relationship Management, and E-Services (AMCRMES) Book Series addresses success factors for customer relationship management, marketing, and electronic services and its performance outcomes. This collection of reference source covers aspects of consumer behavior and marketing business strategies aiming towards researchers, scholars, and practitioners in the fields of marketing management. Social CRM is a new approach for organizations that want to optimize the potential of social interactions to get closer to customers. Considering high usage of social networks, businesses are feeling extreme pressure to be where their customers are. Social CRM uses high potential of social media to develop relationships among different stakeholders, including employees, customers and businesses. But getting started with social CRM is comparable to other IT projects. Being multifaceted process, implementing this concept has a high risk and uncertainty. The most common factors associated with social CRM project failures may have included no clear strategy, no measurable objectives, or adopting technology without strategy, defined processes and organizational alignment. So, there is a need for resources and texts to address all aspects of this discipline. This book looks to discuss and address the comprehensive view to this emerging discipline including tools, techniques and strategies. This comprehensive and timely publication aims to be an essential reference source, building on the available literature in the field of social CRM while providing for further research opportunities in this dynamic field for researchers and academicians. And also, it is hoped that this text will provide the resources necessary for professionals to adopt and implement social CRM strategies, processes and techniques. Interdisciplinary students, faculty members/trainers/professors, research scientists, and as well as professional managers, analysts, consultants will find this book useful. Researchers and practitioners are invited to submit on or before February 20, 2014, a 2-3 page chapter proposal clearly explaining the mission and concerns of his or her proposed chapter. Authors of accepted proposals will be notified by March 20, 2014 about the status of their proposals and sent chapter guidelines. Full chapters are expected to be submitted by June 15, 2014. All submitted chapters will be reviewed on a double-blind review basis. Contributors may also be requested to serve as reviewers for this project. This book is scheduled to be published by IGI Global (formerly Idea Group Inc.), publisher of the Information Science Reference (formerly Idea Group Reference), Medical Information Science Reference, Business Science Reference, and Engineering Science Reference imprints. For additional information regarding the publisher, please visit www.igi-global.com. This book is anticipated to be released in 2015. (approximately $2000, including travel, housing, and stipend). I will be grateful to you for advertising CAISE’14 FORUM, for inviting your colleagues and/or research students to submit their work and for submitting your own work. (1) Visionary short papers: papers that present innovative research projects, which are still at a relatively early stage and do not necessarily include a full-scale validation. (2) Demo papers: short papers describing innovative tools and prototypes that implement the results of research efforts. The tools and prototypes will be presented as demos in the Forum. The Call for Papers is included underneath. CAISE is a well-established highly visible conference series on Information Systems Engineering. This year, the conference extends a special welcome to papers that address Information Systems Engineering in Times of Crisis. The CAiSE’14 Forum is a place within the CAiSE conference for presenting and discussing new ideas and tools related to information systems engineering. Intended to serve as an interactive platform, the forum aims at the presentation of fresh ideas, emerging new topics, controversial positions, as well as demonstration of innovative systems, tools and applications. The Forum sessions at the CAiSE conference will facilitate the interaction, discussion, and exchange of ideas among presenters and participants. Forum papers must not exceed 8 pages in LNCS format (see http://www.springer.de/comp/lncs/authors.html for further details) and should be submitted in PDF format. The submitted papers must be unpublished and must not be under review elsewhere. The accepted papers will be included in the special proceedings issue titled “CAiSE Forum”, which will be formally published by CEUR (http://www.ceur-ws.org/). In addition, the CAiSE Forum papers will be included in the electronic proceedings handed to CAiSE participants. After CAiSE’14, authors of the presented papers will be invited to submit an extended version for the CAISE’14 Forum Post-proceedings. Accepted extended papers will be published as a Springer LNBIP volume. It is expected that one of the authors presents the short paper or the tool demonstration and participates at the forum discussions. The CAiSE forum being intended for intensive discussion, the papers are to be shortly presented and large room is to be left for exchange of positions and ideas among the authors and the audience. The presentation will be possible as a poster (for submission type 1 or 3) or demo (for submission type 2). at the annual NWSA conference, November 13-16, in San Juan, Puerto Rico. It is no revelation to learn that higher ed instructors and classrooms are called to satisfy many goals, from covering substantive material to satisfying education outcomes and assessment requirements to preparing students for the “real world.” The burden falls perhaps even more heavily on the feminist and queer classrooms, populated as they often are by students who have deeply personal reason for taking such courses. What is our responsibility to these students, the ones who may “need” the course for more than academic reasons? And what is our responsibility to our other students, who may take the course for academic credit but for whom the spark of activism can be lit? How can we blend our commitment to the affective dimensions of teaching (in which the material covered may indeed be literal matters of life, liberty, and love for instructors and students) while also maintaining the intellectual rigor required by our own training and the pedagogical goals of our institutions? In what ways do concepts both old and new, from “the personal is political” to “engaged learning,” assist in – or detract from — this struggle? Are queer classrooms transgressive simply by virtue of existing at all? Or are there specific approaches, strategies, techniques that produce queer classrooms which exist “not merely to share information but to share in the intellectual and spiritual growth of our students.” We hope to range across several broad categories of concern in queer pedagogy — practical concerns (texts, readings), curricular concerns (requirements, program design, “coverage”), theoretical concerns (queer vs. LGBT approaches), and material concerns (embodiment, silencing, activism) – while at the same time questioning the interplay between teaching and transgression, learning and liberation. We are excited for a variety of approaches to and perspectives on this topic both theoretical and practical, and we intend for the session to include ample time for audience-panelist discussion. Please don’t hesitate to submit your idea or to email with questions. Send topic, title, and 50-100 word abstract to miltonw@usf.edu by Friday, February 7th. Please include your name, contact info, institutional affiliation and position/level (if any), and any other relevant information. Notifications will be sent out no later than Tuesday, February 11th. focus will be put on methodology. SLSP 2014 will take place in Grenoble, at the foot of the French Alps. methods (including machine learning) within language and speech processing.